First up, is a preview of a new Digimon in Linkz. The image has popped up as part of a general thank you message for people playing in Japan, and here is the clean image. Where Vorvomon was designed to look like volcanic stone, the new Digimon looks sleek and metallic. He has various blue crystals that appear to have more defined angles than the red ones on Vorvomon. Overall, it's a really good design for a counterpart, or rival-type creature, for Vorcomon. The new currently unnamed Digimon also appears to be the first new Digimon we've seen in 2019. We will likely be hearing about this fellow more soon. Thanks to BlueIke for the heads up about the image, and theigno for tracking down the direct version of it. The new art is featured on the Encounters website. 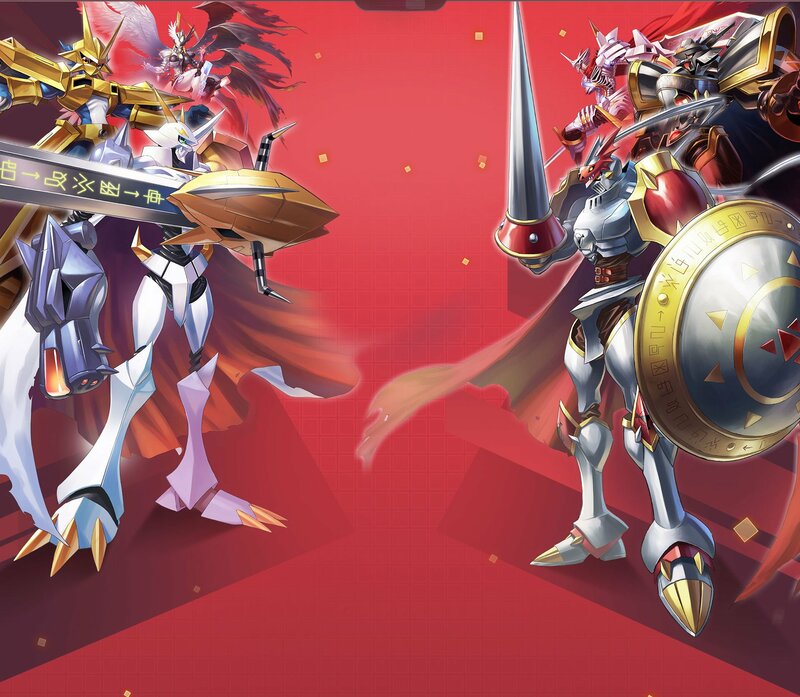 On the left we get Omegamon, Magnamon, and Mastemon, while on the right we get Dukemon, Alphamon, and Jesmon. 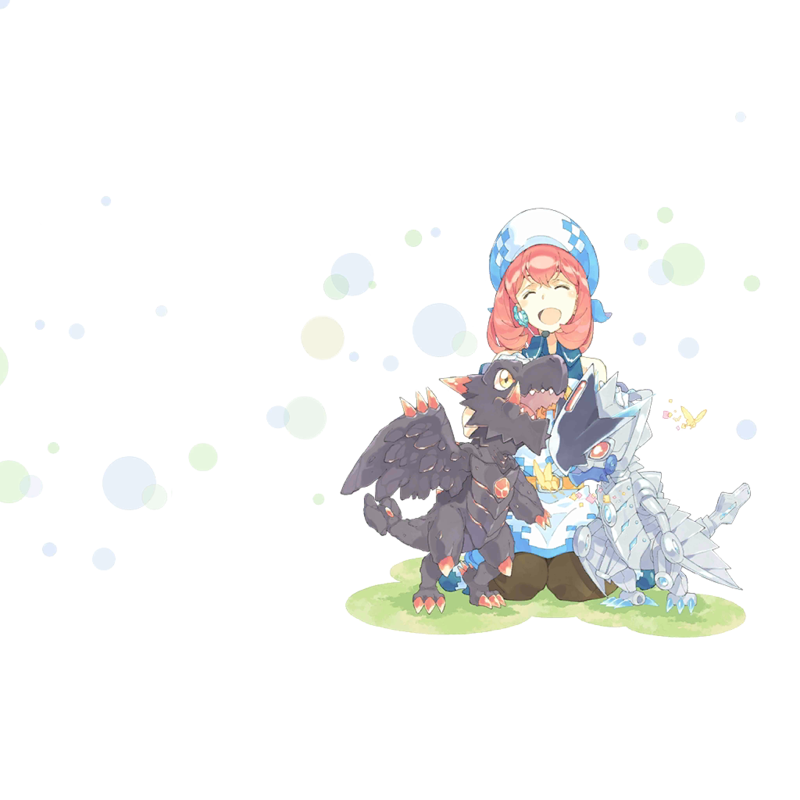 The artwork is currently the background of the Encounters website. 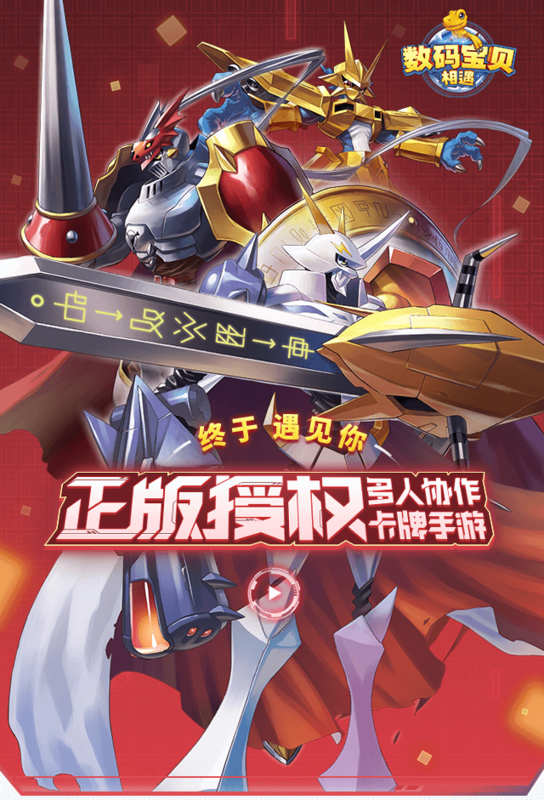 Viewing it via a mobile browser gets you an image of Omegamon, Dukemon, and Magnamon using the same artwork. The play button is for the previous trailer that showed off the games theme song. 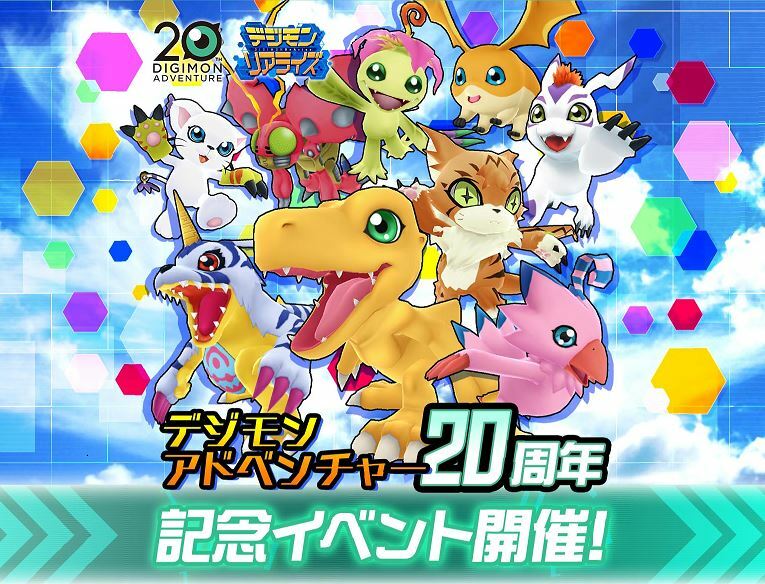 With ReArise getting new Adventure 20th content, it's nice to see updates for the other 2 Digimon mobile games. And of course, that Adventure 20th ReArise content has begun to show up in ReArise at this point. More mobile game updates soon hopefully! I did not expect a new Digimon to show up in such an old game, damn. Hope he has a cool line though it'll prob just be similar to the existing Vorvomon. It kinda seems like a baby Blue Eyes White Dragon lol. Yeah he does look like it's Alternative Blue eyes White dragon plus mecha and borrowed the similar helmet with the glowing hole of Mastemon's. Maybe it might be very advanced high tech dragon? Technodramon incoming?! Something interesting of note for Omnimon, the attack animations are new for ReArise instead of copy pasting from the other games. I love the sleek metallic, almost mecha, design. I also enjoy how it pairs with Vorvomon. I really like parallel counterpart designs, like Charismon/Globemon. I really hope that new Digimon ends up being called something like RoboVobomon. why omegamon and magnamon facing alphamon, dukemon and jesmon? is this a civil war inside the rk?